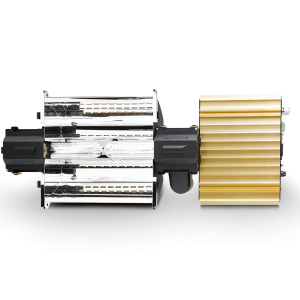 The Revolution DEva is lightweight, versatile, efficient and has excellent heat dissipation. 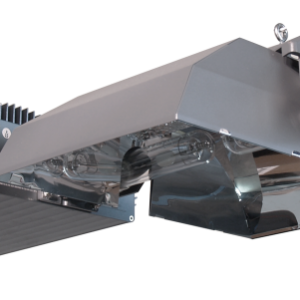 The DEva’s design and all components used in its manufacture are not more than two years old and as such offer the most up to date efficient operation. 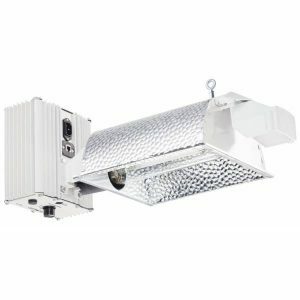 Other leading brands of 1000W DE fixtures use older less efficient electronic drivers resulting in lower light output and more power consumption. Embracing new digital technologyand manufacturing processes, the DEva provides outstanding quality at an affordable price and in most cases at a lower price than its main competitors! The DEva is quality through and through. Each DEva is continually tested during the manufacturing process toensure you receive unsurpassed reliability, efficiency and quality. 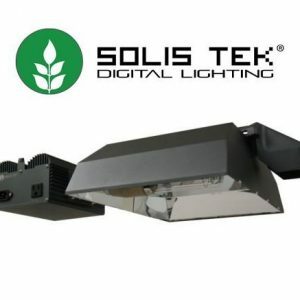 This complete lighting system will not disappoint, with a 1000W DE lamp with an output of 2100 μmol/s, a high quality 97% German Miro aluminium reflector and the latest technology harnessed in its integral ballast, all in one compact, reliable and powerful horticultural grow light.